Russian troops in Warsaw after the January insurrection of 1863–1864. After decades of harsh limits on Polish autonomy, many Poles were hopeful that the situation would improve after the 1855 coronation of Alexander II. There were indeed concessions: Martial law was lifted, an amnesty was declared for all political prisoners, a new Archbishop of Warsaw was named (the position had been vacant since 1830), and censorship was made somewhat less restrictive. In 1862 a Pole named Aleksander Wielopolski was made governor of the Polish Kingdom, in an attempt to cooperate with the aristocratic elite and marginalize more radical national separatists and democratic revolutionaries. All these attempts at conciliation failed, as patriotic demonstrations broke out in late 1861 and intensified throughout 1862. The Russians tried to suppress these protests with deadly force, but that only generated more anger among the Poles, and the unrest spread. Wielopolski tried to quash the disturbances on the night of January 23 by organizing an emergency draft into the army targeted at the young men who had been leading the demonstrations. This, too, failed, as it prompted the national movement leaders to proclaim an uprising (which was being planned in any case). The rebels proclaimed the existence of the “Temporary National Government,” which would lead the revolt and (they hoped) pave the way for a true independent Polish government afterwards. 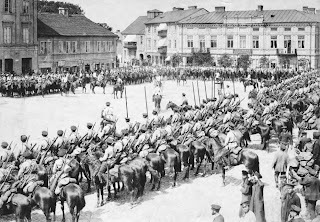 The “January Uprising” (as it is known in Poland) was fought primarily as a guerrilla war, with small-scale assaults against individual Russian units rather than large pitched battles (which the Poles lacked the forces to win). Over the next one and one-half years, 200,000 Poles took part in the fighting, with about 30,000 in the field at any one moment. After the revolt was crushed, thousands of Poles were sent to Siberia, hundreds were executed, and towns and villages throughout Poland were devastated by the violence. All traces of Polish autonomy were lost, and the most oppressive period of Russification began. Leslie, R. F. (1963). Reform and Insurrection in Russian Poland, 1856–1865. London: University of London, Athlone Press. Wandycz, Piotr. (1974). The Lands of Partitioned Poland, 1795–1918. Seattle: University of Washington Press.